Agency specializing in baby and child talent is now taking submissions! Do people say you have a Gerber baby? Maybe the Next face of Baby Gap or Gap Kids? Are you trying to get your kid into baby modeling? A NY based modeling agency is now accepting submissions for 2013 and 2014 bookings and is having a casting call for new baby models. The agency that is rumored to have snagged the Babies R Us campaign is now casting babies, toddlers, kids and teens to book in their upcoming campaigns. An open casting call was held but those parents, babies and kids who missed the NYC open casting call for baby models still have a shot at getting their child seen by agents. Product Model Management which has a baby and child division has announced that they are accepting new baby models right now. The agency is seeking kids up to 14 years of age of all ethnicities. Below you will find the mail in submission instructions for your child to be considered for representation. The agency has an extensive portfolio of babies, toddlers, tweens and teens they represent and here is your chance to make your adorable baby a part of their lineup. 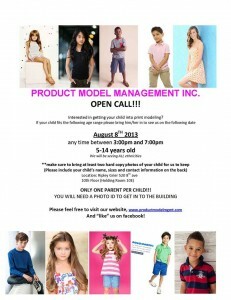 To submit your cute kid to the model search…. Send 2-3 home snapshots that best represent what the prospective model looks like at the present time. If you already have a composite card this is ok to submit too. We highly recommend that you do not send anything of great importance or that you necessarily need back. Do not mail in CDs, as we will not have the time to sort through the pictures. Print those pictures that you would like to submit and mail them in. Large photo albums will not be accepted and will not be stored in the office. You must also include an email address with your submission. 2. You MUST include a self addressed stamped envelope (a separate envelope with your name, address and postage on it) large enough for us to send you back your photographs with a response. Product Model Management can only represent models in the tri-state area that are able to travel to Manhattan at least 2-3 times a week. Modeling schedules can be very demanding and work best when parents are very flexible. Please do not contact the agency to follow up on your submission, as all properly submitted photos will be sent back with a response within 1 month of time. Product Model Management is a boutique modeling agency specializing in children, teens and adults for national and international editorials, catalogs and advertising campaigns. The agencies talent is used and booked by major department stores, children’s magazines and even on runways modeling the newest kids lines from top children’s brands. Follow the instructions above completely and good luck. 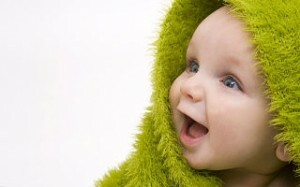 You never know, your cute baby may be the next big star in baby modeling! My 1 year old has what it takes to be a model. She models everything she wears to everyone with a big smile. People have told me “she is beautiful you should put her in modeling.” She is a sweetheart. I would like more info. I have a 4 year old son named Jesse and I am interested in getting him into modeling. I believe he has what it takes to do well in the industry. I have a 4 year old boy named Jesse and I am looking to get him into modeling. I would like to get more info on the baby modeling for my 2 year old son. please email me. I have a beautiful 7 month old baby girl named Isabella. She is wearing size 6-12 months. She loves to smile for the camera. Please send more information. I would like to receive more information for my adorable 18 month son. I believe my daughter has what it takes to be a model, she is 4 years old. I can’t even remember how many people have told me I need to find a Agency for her. Please send me more information. I would like more information for my infant son. My 4 year old has a fun personality and is always smiling wherever we go. We have been told by several people that she is very photogenic. Please email me any details or information. Thank you! I have a two beautiful daughters of 4 and 5 years old that would be interested in modeling. My two year old baby girl Chloe September is a beautiful, talented and energetic toddler who loves to sing, dance and play dress up. She wears a 2T and a size 8 in shoes. She’s amazingly charming and a great fit for commercials, tv and magazines. I have a daughter Alexa she is 18 months, dirty blonde hair, beautiful blue eyes, tall, wears size 18 months / 24 months. Alexa would be interested in magazine ads, TV commercials for Gap as well as other large brands like old navy. Everywhere we go people compliment how her eyes are so beautiful, and how cute she is. Alexa is the girl that you are looking for. My super talented soon to be 15 month old girl Avery is a natural. Her first spread was featured in Pregnancy and Health Magazine July 2013 edition modeling baby clothing. My super talented soon to be 15 month old girl Avery is a natural. Her first spread was featured in Pregnancy and Health Magazine in the July 2013 edition. She was modeling baby clothing. I want to get my 6 month old son into a baby photo contest or to get him a job as a baby model. He would be perfect for it and I know everyone would agree. I tried to enter him in an online baby contest but they asked for money and the way he looks, they should pay me to have him there. I know he is a super star and want everyone to know his name. 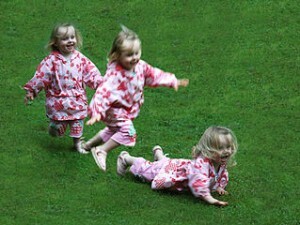 I have twin daughters that would be interested in modeling for Gap as well as old navy. I also have a 7 year old and a 9 year old. I have a gorgeous blue eyed boy. He is 25 months. He gets comments everywhere we go. I have the most beautiful baby girl who was born to model. She is gorgeous and sweet. She has the perfect baby smile and she loves the camera. She is extremely photogenic and nobody we meet can get enough of her. I am looking for baby modeling contests or a baby model search to enter her in. I know she will win and everyone will fall in love with her. I have a 6 month old and a 2 year old. Both kids are natural born models that play to the camera and take direction very well. I am looking to get both of them into baby modeling or acting. I want them to be able to do catalogs and commercials. It would be great to get them into an agency so they can get more auditions for kids companies like Gap and Babies R Us. Both my kids have blond hair and blue eyes. Of course both kids are also adorable and gorgeous. Hello I have two boys who I would love them to try out!!! I am looking into having my son involved in baby modeling. I can’t let this little guys smile and dimples be passed up. Hi I’m interested to find a modeling agency for my kids. I have a 15 month and a 5 years old son, I’m interested to work with you Guys Thanks, god bless. I’m interested in getting more information about baby modeling for my son. Please email me more information. I have a new baby that is only 6 months old. She is the cutest kid you will ever see and I know she has what it takes to become a baby model. I really want her to tryout to be in TV commercials and magazine ads. She has a smile that will light up a room and I am not the only one who thinks so. Everywhere we go people say that my baby needs to apply to be a baby model for large brands like Baby Gap, Gerber, Old Navy, Babies r Us or anything else.